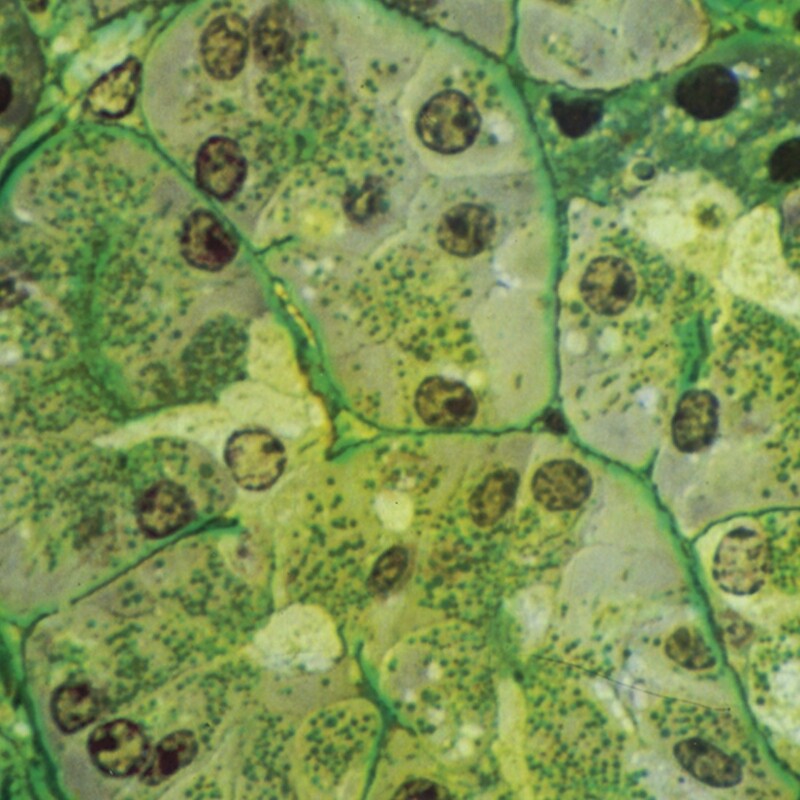 Unicryl™ Resin | Polysciences, Inc.
Photo: (Left) Unicryl for Light Microscopy - Pancreas 1Î¼m section. (Right) Unicryl for Electron Microscopy- Human Pancreas. Paraformaldehyde. No postfixation. Uranyl acetate and lead citrate. Photo courtesy of Dr. C Scala Institute for Electron Microscopy, University of Bologna, Italy. A unique, largely hydrophilic, acrylic resin, developed for universal use in LM and EM applications. When fully polymerized, Unicryl™ demonstrates excellent cutting characteristics. Sectioning surface follows the contours of the tissue during cutting action, producing a highly exposed surface of proteins and nucleic acids for subsequent immunohistochemistry techniques. Resin preserves these structures without interacting or cross-linking with them. Provides optimum sectioning and staining for animal, plant and microbiological tissues for Light Microscopy and Electron Microscopy. Unicryl™ is largely hydrophilic, allowing adequate access to polar (aqueous) solutions and exhibiting low background staining or labeling from hydrophobic materials. Normal counterstaining properties for both EM and LM sections are excellent due to the hydrophilicity of the resin, its homogeneous structure and surface characteristics.